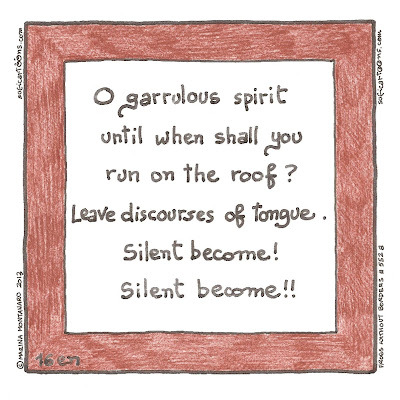 O garrulous spirit until when shall you run on the roof? 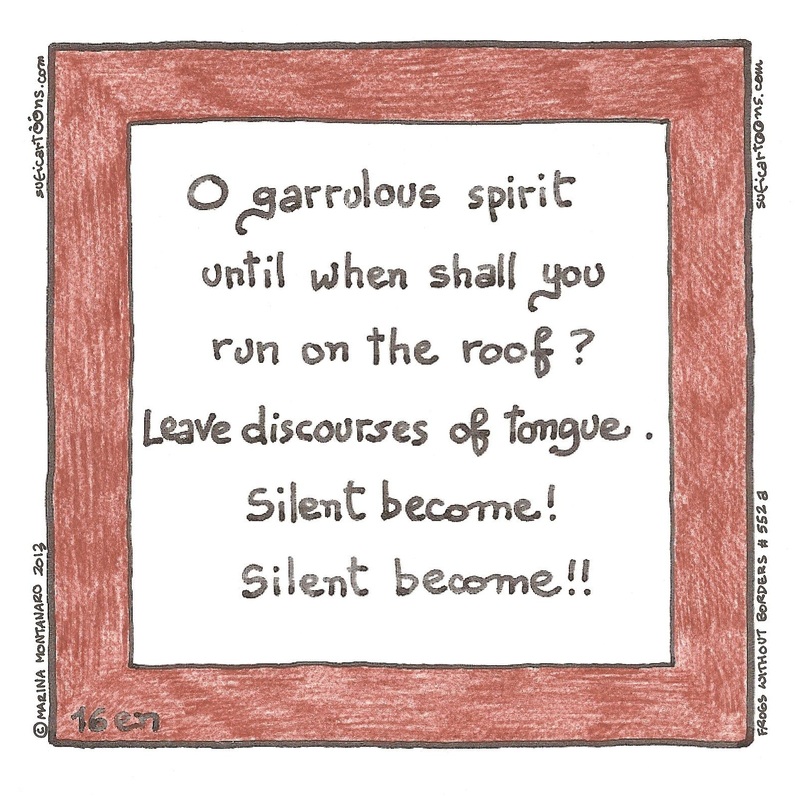 Leave discourses of tongue. Silent become! Silent become! !